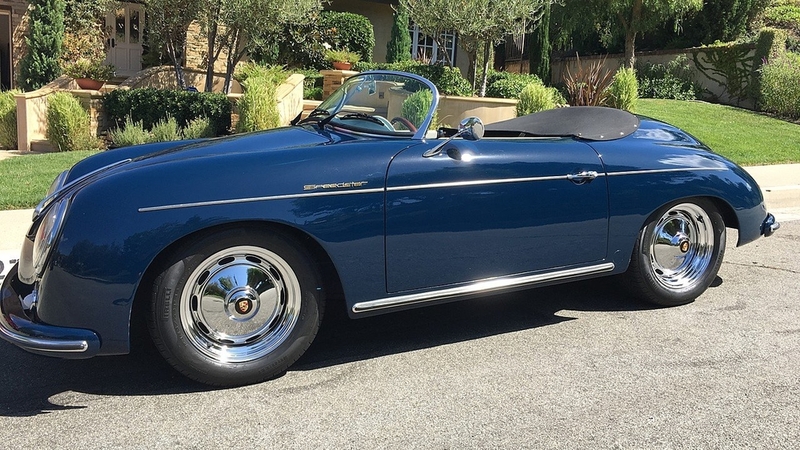 Thanks in part to all the helpful advice received here I'm on the cusp of owning my first Speedster. It's a VS delivered to its first owner in Aug 2017. I'd like to know who made the engine but the seller doesn't know. With all the confusion, at least for me, about who is who and what is what when it comes to Vintage, I'm wondering if anyone can direct me to a person who might be able to help me with questions about this build. Find the Vehicle ID number under the carpet flap on the floor just behind/between the driver/passenger seats. Might be useful for them to track that number to their files and build sheet. Engine might be 1600cc or 1776cc unless original owner specified and paid for engine upgrade to 1915cc. Welcome To The Madness, Ron! The customary curly-q wire from the alternator to/ thru the fire wall is missing. That is how I would usually identify a VS motor. VS stopped doing that around 2012, I think (at least my 2013 had a more conventional looking wire to the B+ terminal). 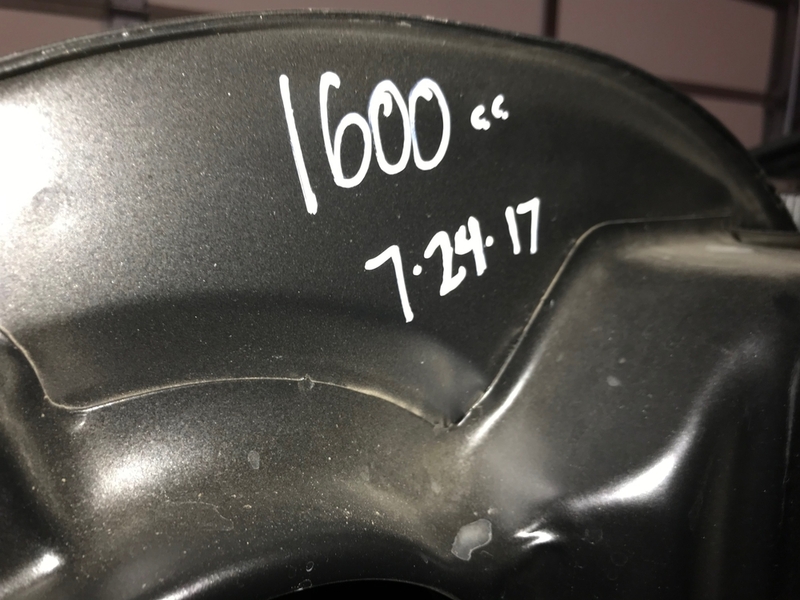 OP says the car was originally delivered in 2017. Judging from the single-barrel carbs, the carb linkage, and a few other details in the engine photo, this looks typical VS for around that time. Dunno if it's a 1600 or 1915. Would strongly suggest having an experienced air-cooled VW dude check out the engine, transaxle, and the whole car before making a deposit. This may cost a Benjamin or two, but will probably save money and grief in the long run. All good advice above RONPR. Good luck, nice car! If the car was made before the end of 2017, it was built in Hawaiian Gardens by Kirk and company. After that, Justin moved the business to Arizona. I had a guy who has worked on VWs for 30 years inspect it. Said the gas pedal was stiff and it leaked a little oil. Other than that, said it was in fine condition. Thanks! Can't wait to get my hands on it. Thanks for that. A guy who currently works at Vintage reached out to me directly with an offer to help. I'm not so sure when VS stopped using that curly wire---maybe they never did stop. I know that Roland Rascon built the Vintage engines for some stretch of time. Roland is a famous builder in SOCAL with a good reputation and can likely be located in that area to ask him directly. I can't confirm it but I read on here that Vintage used to write the engine size for each engine on the fan shroud --on the side of the shroud facing the front of the car. Use a mirror and see if you can see that number. It won't tell you the builder but at least it will tell you the engine size. Last, I understand that the employees who were formerly working for Kirk Duncan at Vintage in Hawaiian Gardens are mostly all still there with the man who moved his business into the VS facility. One of these guys might be able to answer some of your questions. Hi Justin. This topic frequently comes up on the SOC. 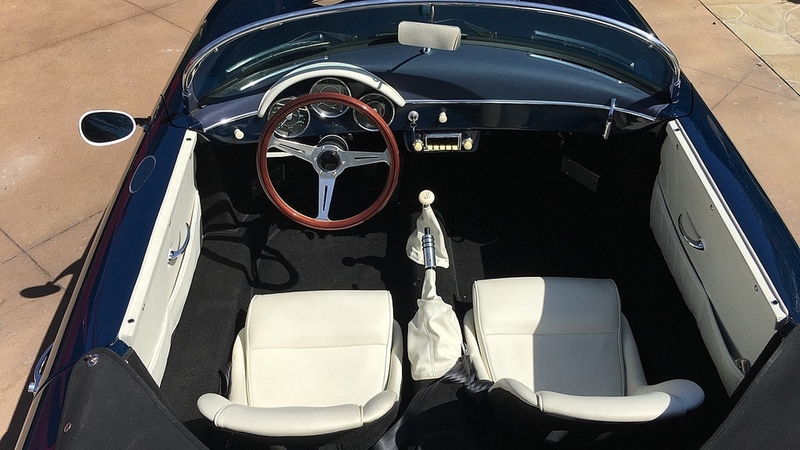 It would be helpful if you would post what information you can provide new owners of previously built Vintage Speedsters and the information you would need to answer the questions. As an example, can you search your files by VIN #? Would you need the 1st owners name to search your files? Are the files comprehensive, with all the build information for every car ever built by Vintage? Hi Troy! This is actually Aron. Unfortunately, no records were kept(or given to us) on previous builds. We have a rough idea on who was being used and at what time, but there is nothing concrete. I also get this call alot and what I have been doing is just working each car with the owner to dig up as much information as possible. I am more than happy to help anyone with any questions on cars that were built by Vintage Speedsters. My email is aron@vintagespeedsters.com and my cell phone number is 480-271-5988. I was able to locate some old vendor files for @Ron P and we were able to figure it out. Let me know what other type of information would be helpful for you guys and I am more than willing to do whatever! It was discovered that Gervais Engine and Machining built the engine. Was told it was a 1600 if there was an oil filter on the bottom and that a 1915 would have an oil pump. Mine appears to be a 1600.
? Can you explain that? @Ron P , is it possible they told you the 1915 would have an external oil filter (connected via some rubber hoses to the engine block)? 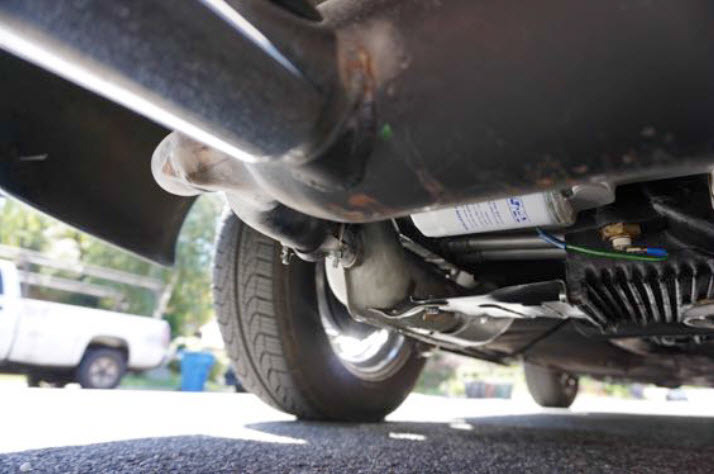 The external oil filter was an extra cost option that was usually included with a 1915cc engine from VS.
Stock VW 1600's had no such filter, but used an internal screen at the bottom of the engine to filter the oil. All you can see is the bottom of the drain plug/cap that contains the screen. I'm not sure you can identify the engine size by the presence or lack of an external oil filter. I've had plenty of 1915 motors that didn't have external oil filters and I don't think there is any reason you can't put an external oil filter on a 1600 motor. It might be a good rule of thumb, but I've always been under the impression that the only way to confirm 1600, 1776 or 1915 was to open the motor. @Sacto Mitch. Hi Mitch. I don't think that external oil filters were "usually included with a 1915cc engine from VS." At least that hasn't been my experience with the majority of VS 1915 motors I've had. I only stated that it'd be the larger engine if it had an external oil filter based on what Ron wrote which he based off what he was told. It is true the only way to know exactly what size engine you have is to open it up. Try looking behind the doghouse shroud first though and see if the engine size is written there. I somewhat remember someone posting a picture of that on here but I couldn't find it during a search. The good news is that you don't need to split the case to REALLY know. But you will have to take the motor out and pull a head. 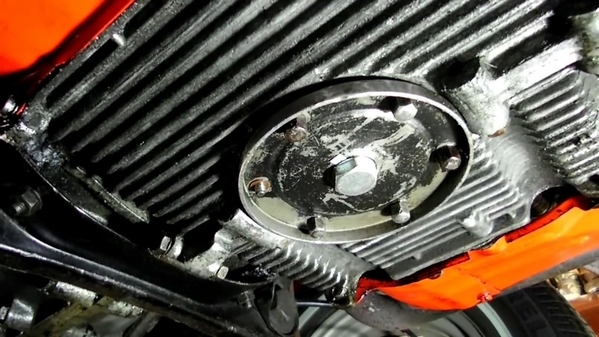 Not that big a deal, and if you don't disturb the seal of the cylinder bases, then ALL you need to do is get the head off, measure bore and stroke, then put it back on and torque it. Troy, I dug out my original build invoice and, for some reason, I wasn't charged for the external filter, although it was listed as a separate line item. I guess I thought that was standard VS practice. Maybe something they started doing in later years? My build was in July, 2013. This looks like a filter to me. Not sure. Best pic I have. Sounds like that's not conclusive proof of engine size. Not brave enough to pull off the head and measure. Hoping it's written on the shroud. It looks like an $80 filter pump assembly. Probably better than no added filter at all but not a performance product (but better than just the sumps screen filter). 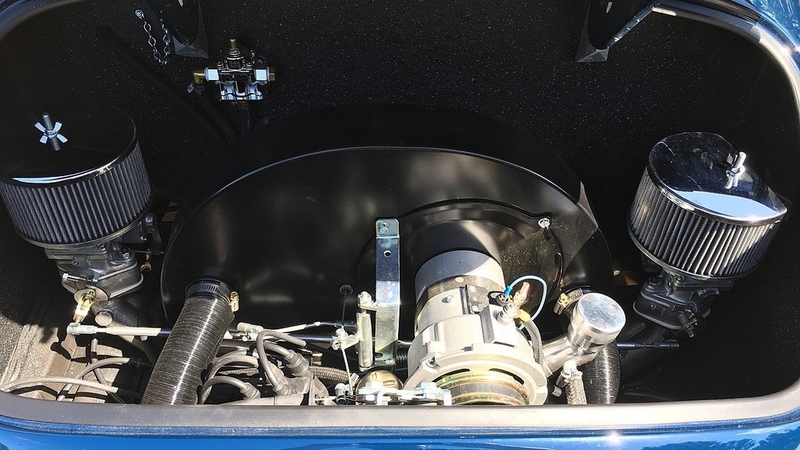 A performance engine will have the case drilled for full flow and have a remote filter and often a thermostatically controlled valve with oil cooler and electric fan. About $360. You're right Danny. I should have said take the head off, not open the motor. I know it's probably easier to take the motor out, but can you remove a head without pulling the engine? Piston sizes re stamped on the top of the piston, you'll have to scrape a bit of carbon off to be able to read that number . Too bad the pistons don't stay clean or you might be able to read it with a bore scope. Dude, that's DEFINITELY a remote filter. Alan, gently dribble water down a carb when revving the motor above 4000. Pour until you get some serious white smoke. Keep pouring for about 30 seconds. Then let it clear and shut it down. When it's cool, stick the borescope in and read. Doesn't tell you the stroke though. It will be steam-cleaned. A good trick to rid carbon buildup. Troy, you can pull a head with the motor in the car. It's just not any fun to do. AT ALL. So much easier if you pull it and put it on a stand. You should have seen Michelle's Subaru when I changed the head gaskets. It was extremely apparent which cylinder had the antifreeze leak........whistle clean piston and head. The original pump is replaced with this one and the oil is filtered and returned. 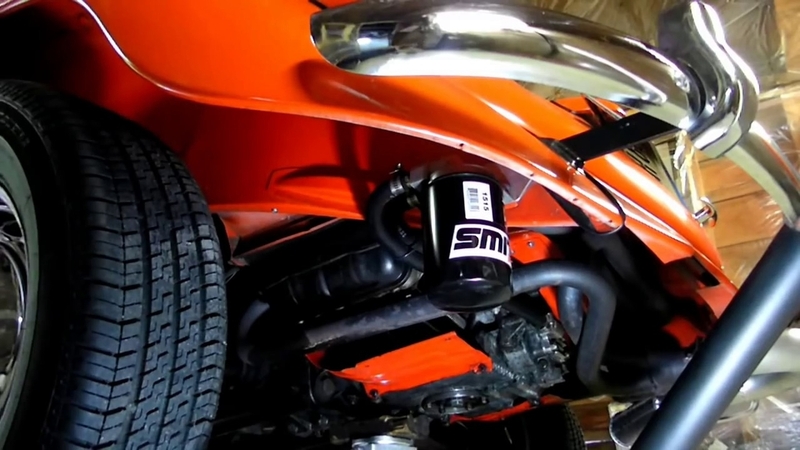 This is the cheapest and easiest way to add an external oil filter to the engine. Based on build information your's is most likely a 1915cc motor. I suppose if the previous paid to have it installed it could be the stock 1600 cc motor. Borrow your wife's mirror and head out to the garage. Just don't tell her you're using it. Does the car feel peppy enough? If so forget about it and just drive the wheels off it! @DannyP said- "...you can pull a head with the motor in the car. It's just not any fun to do. AT ALL. So much easier if you pull it and put it on a stand." PS- most of the pump/filter units work fine to about 6,000 rpm. Spin the engine much higher and the small passages through the cover can't pass the volume of oil the pump is trying to move and (as well as starving the engine of oil at those rpm's, where it needs it most) I'm told a broken drive tang can be the result. The rumors are true - at least in my case. The engine size is written on the fan shroud. Good to know, Ron. Plus I see the date the engine was built. Very interesting. Thanks. Vintage did write the engine size on the back of the shroud, but not consistently over the years. If it's there, it's most likely correct , but if there is nothing there it doesn't mean anything.